Meditating in silence on a 20 Day Vipassana Meditation Course is a great way to see how truly nutty one’s mind can be. Oh the detritus that is stored in there, and in my case nearly 35 years worth. That’s what I had the opportunity to find out in January. 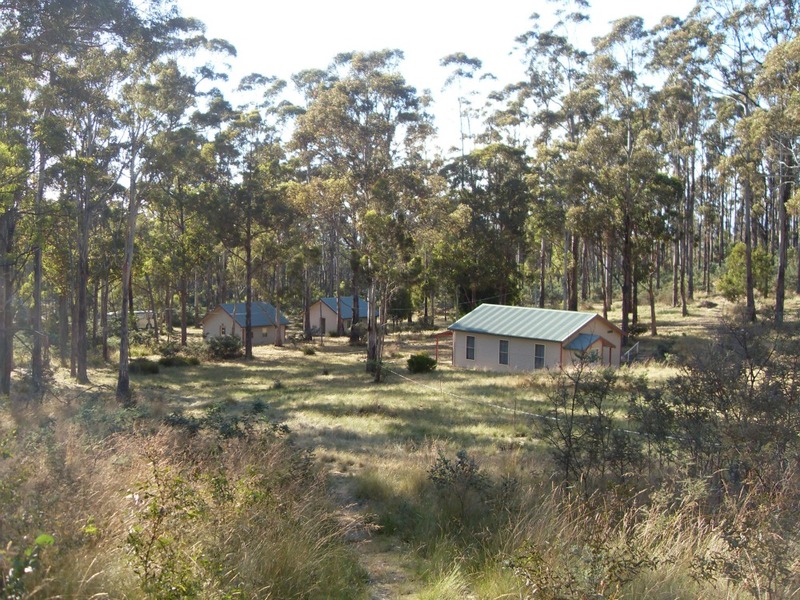 In a beautiful, quiet, bushland setting outside of Hobart, Tasmania I sat with 12 other meditators who are dedicated to the practice of Vipassana in the tradition of Sayagyi U Ba Khin, as taught by S.N. Goenka. I had found out many times before how much fodder sits in my brain on the 10 day courses (and in my daily sittings at home), so that was nothing new. I was unsure though as to how 20 days would benefit me in my everyday life, apart from making my meditation practice stronger. Changes that I have noticed in myself since I did my first 10 day course in 2005 include being kinder to myself and others, being more grounded, more organised, more capable of making beneficial decisions, being clearer in my head, improved relations with my loved ones and colleagues, and being so much happier. I had never thought that I would sit a long course (more than 10 days), but hey, things change. Being surrounded by sisters and brothers on the path who had sat longer courses inspired me as I observed their attitude to life and how they carried themselves with kindness, confidence and quiet courage. 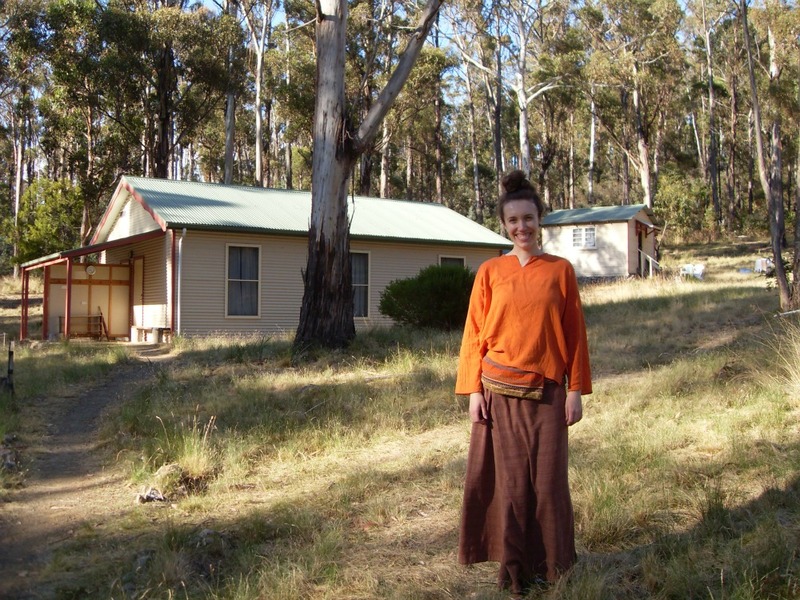 So, having met the necessary requirements for a long course, I got on the plane to Hobart, was picked up by a shuttle taxi and arrived at Dhamma Pabha – a Vipassana Meditation Centre in isolated bushland, where my first breath of the extreme fresh air made this city girl’s lungs expand in amazement and joy. A short walk around revealed many blackened tree stumps amongst the thriving bush. 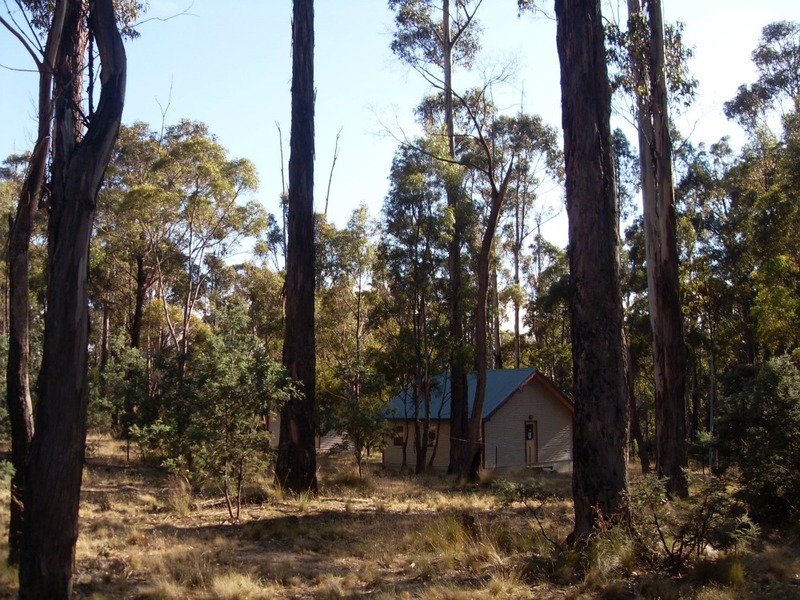 Over a decade ago the centre was saved by students who fought a bushfire away from the land. How wonderful that they did, so that many people could come to this centre and learn how to come out of their sufferings and start to integrate their new-found wisdom into their daily lives. So that I could sit in a little hall on a hill with a small group of others meditating, dealing with stuff as it arose and then passed away. Sitting with me for this course were four other women and eight men. There were two teachers, a male and female manager and two male students preparing meals in the kitchen. Every person who comes to serve on any meditation course in this tradition is a Vipassana meditator who is volunteering their time, including the teachers. There are no charges – all the courses are already paid for by donations from grateful students who have completed at least one 10 Day course, and want others to experience the opportunity to practice a technique that brings so much strength and relief from suffering. The generosity of time and energy that goes into organising and running a meditation course is something that I am very grateful for. Knowing the effort I went to in organising 20 days out of my life (actually more so that I could have a few days to re-adjust to the outside world afterwards) – I was touched by the generosity of the servers who were taking time out of their lives to give others the opportunity to meditate seriously for that length of time. Having served before though, I knew that they would also be benefitting tremendously from this time. A friend who had managed many restaurants said that her role of Kitchen Manager during a ten day Vipassana course was made so much easier because everyone in the kitchen was meditating at least three times a day and thereby having the chance to sort out their own reactions as they naturally arose. She realised that about 90% of managing a restaurant was spent managing the emotional and personal relations of the staff, whereas 90% of her time at the meditation centre was spent simply organising the meals and delegating workers to do different tasks. Any issues that arose were resolved by the meditation. Upon arrival I registered, put my luggage in my single room and then chatted with the other women over delicious pumpkin soup. We discovered that we were all about to sit our first long course. One of the women said “ah, so we are going on a new journey together”. At 8pm we were all in the meditation hall on a hill at the top of the centre grounds and the course began. From then until 9:30am on day 20, we practiced noble silence, i.e. no speaking to each other nor making any communication through eye contact or gestures. We were on our own, yet had the option of reaching out for support from the teachers if the need arose. In the evening via taped discourses, our teacher Goenkaji would share stories and wisdom to encourage us and help us get more serious about our meditation, and to observe how we practice ethics in our everyday lives. Understanding the importance of maintaining the five precepts* with diligence, I have realised (among other things) – no more surfing the internet on unlocked wireless whilst I am out and about for me! While a part of me says “everyone knows how to lock their modems – if they are unlocked they must be offering it for free”, another part of me now says “yes, but you don’t know whose wireless internet access this is, and you haven’t asked permission to use it. So for now, it is stealing”. Mildly inconvenient yes, but I do feel better for it. Goenkaji also encouraged us not to be distracted by the world around us whilst we were at the meditation centre. He said we have all seen the birds, the trees, the sky, the stars and moon before – there is no need to spend time getting engrossed looking at them here. But early in the course as I walk to my meditation cell I come across an echidna fossicking for food. I hear Goenkaji’s voice in my head saying “you’ve seen it all before”, and I think “But I’ve never seen an echidna in the wild before!”. I admire its cuteness and nobility and I move on. Now I’ve seen the echidna so I don’t have to distract myself by looking around for it again. Wallabies bound all around me, and again, I learn to not look after them. Keeping my eyes down is good for looking out for snakes whilst walking the on the bush tracks during the breaks, but I don’t see any (on day 20 I found out at least two people saw a snake). I hear wallabies munching grass outside my cell, and possums on the roof, but I sit still, not acting on the urge to go outside and look at them. Wildlife aside, the food was nutritious and yummy, and the accommodation simple and comfortable. Every student gets two private interviews with the teachers during the course where they check to see how you’re going, and then you meditate together. In the first interview I sat down in front of the female teacher, she asked me how I was going, I said “Good”, then paused and said “I’m having trouble staying awake”. Both the teachers laughed quietly and knowingly and she asked me what I’d been doing to try and come out of the sleepiness. They both made some helpful suggestions, she agreed that it is a difficult state to come out of, made sure that I wasn’t giving myself a hard time about it, and then we meditated together. In the second interview, the enquiry was the same, and my response was “I’m staying awake!” She laughed and exclaimed “Good!”. I said “My mind is still chattery, but stuff’s coming out, it’s all good”. The response was “Let’s meditate together”. Yes, let’s. I so love that invitation – a thousand times more fulfilling than the invitation “Let’s dance” (I do love to dance – but there is a time and place for everything!). I do recall on day 17 in the morning, having a pouty thought “Surely I’ve meditated enough by now”, but then I kept meditating and got over it. Swirling winds. Sitting in the little hall on the hill. Best place in the world for me to be at that moment. I took my time on day 20 after the morning sit when noble silence was lifted. I sat in the hall for a while afterwards (in fact, all the women did – all the men left almost immediately and I could hear some whoops and laughter sounding down the hill!). 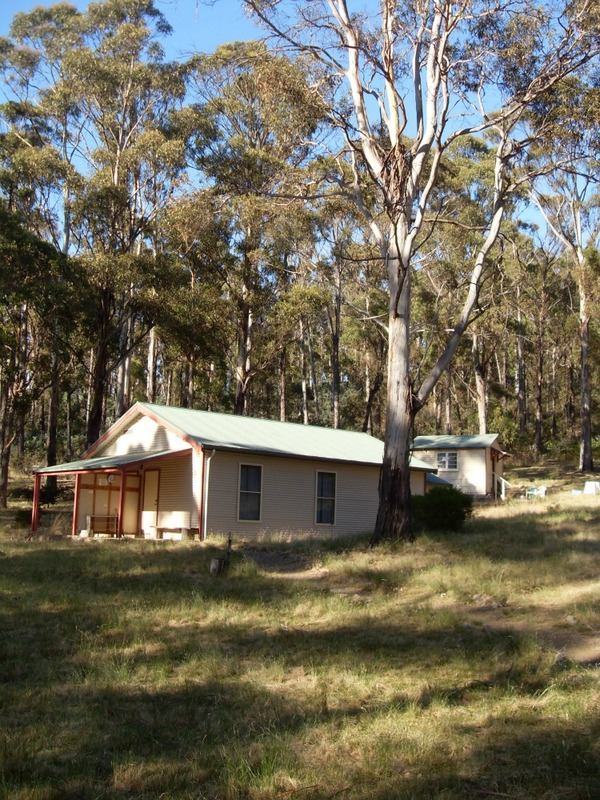 When I did emerge into the bright and sunny morning light, I slowly walked up the hill to the bush tracks, stopping every few steps to take in the extraordinary beauty of the world around me. As my eyes took in the wonder of this landscape for the first time since the beginning of the course I blinked back tears – my first word was “Wow”. The next word out of my mouth when coming across a beautiful curved tree branch was “Woah”. My first words to another person were spoken in the corridor of the accommodation building. We both poked our heads out of our rooms, squinting at each other, our voices full of quiet emotion. We all eventually gathered, then walked down to the dining room for cups of tea – where the men had been for some time. When the talking really began though it was difficult to stop – we were all so loving each other! New connections were made and previous connections were strengthened. I laughed when my partner (happily, also a Vipassana meditator) came to pick me up at the end of the course in a black rental car with the number plate ‘666’! We packed two more meditators into the car and drove into Hobart. We met up again later with a few others from the course, to be wowed by the collection of art at MONA, then a group sit in a meditator’s hotel room followed by dinner at an Indian restaurant. Running on adrenalin, I stayed up until 1:30am – way past my meditation-course-bedtime of 9pm – there was so much talking to be done! And so what have I noticed in myself since I’ve been back? Well, it’s only been a couple of weeks so it may take a while to see. I can certainly say my daily meditation practice is stronger. Calmer – yes. Less interest in entertaining fear, comparison, anger, annoyance and stress in my mind, yes. It’s good to be back into a rhythm of daily life that I enjoy and that supports my growth. I’m happy to have a community of dhamma brothers and sisters with whom I can sit, who encourage each other to grow on the path and be happy. Who don’t find it odd to meditate everyday and not drink, smoke or take drugs. Who don’t find it odd to walk into a room, sit down and meditate in silence together for one hour and then walk out again. And who also love me and embrace all the other things I do. Like tarot reading, riding a glittery flower-bike, wearing tutus and doing freaky dancing. So – that was the long version. The short version: I went, I sat, I cried, I smiled, I laughed, I gave gratitude and left without a trace. Others will go there who do not know who I am or that I ever meditated there. I can only hope that my drop in the ocean of dhamma will benefit those with a call to grow in this way. My practice is still going well, thank you. It’s been a while since I did this long course now, but I hope to do another long course in the next year or so perhaps? I will see how things unfold. The 20-day is an excellent thing to do when you feel the time is right. The pace is completely different to a 10-Day, so while it may appear intimidating, once you’re there and doing the work, the days just roll by as usual. The evening discourses are great! The opportunity to sit with serious meditators is very helpful too. It all helps. i have completed 10 day course…was so happy..
but now feel something is missing…because i am still generating craving and aversion unconsciously… its definitely because of IGNORANCE…no matter how hard i tried,, there is IGNORANCE resulting in craving and aversion..
so i thought answer might be in longer courses…but they dont let you attend one before you complete 5 10 day courses and some other…. Hi Akshay, have you tried maintaining the practice on a daily basis? Or at least regularly? That helps so much. It might be worth contacting your local Vipassana meditation centre and leave a message requesting an Assistant Teacher to get back to you. They will no doubt have many tips on how you can maintain your practice in a way that benefits you. Thanks for sharing your experience, Sarah, I am looking forward to sitting for 20 days next year. Hello Sarah, wordpress showed me this post of your’s as a ‘related article’ after I published my recent post. This was a fabulous description of your Vipassana experience. Mine was a first and only experience in 2009, at a 10-day camp in India. After the initial anxiety got over, it was sheer bliss; a bliss I could not re-create after coming back. You mentioned that you are still practicing at home, which is great. Thank you for sharing your wonderful experience in all its reality. Good luck for your daily sittings! I sat my first course in 2009 as well, and it was “pure bliss” that I could not recreate as well. Nice to read both of your experiences.